To get an ROI (Return on Investment) you need all data. Call Tracking allows us to get the full picture of a campaigns success and then use that data to improve our advertising to get further improvements. Recently we took over a clients Adwords campaign and they needed their leads to come in mainly via the Phone so therefore we needed to make sure we tracked how many phone calls they where getting and from what sources. In one Month we where able to record 69 phone calls and 44 contact forms enquires. Without Call tracking we would be missing the data of those 69 Phone Calls and majoring misjudging the effectiveness of the campaign. • to improve customer service, for example, monitoring training or coaching of staff who handle telephone calls. Streamlined integration to – API, Google Analytics™, CMS, CRM, Intranets, other databases or third party systems. Call Recording – this feature records all of your calls and lets you play them back whilst showing you the source of that call. This is a great feature which lets you improve your sales teams’ performance and identify advertising areas that need to be improved on. Call Whisper – this feature provides you with details about the origin (ie. 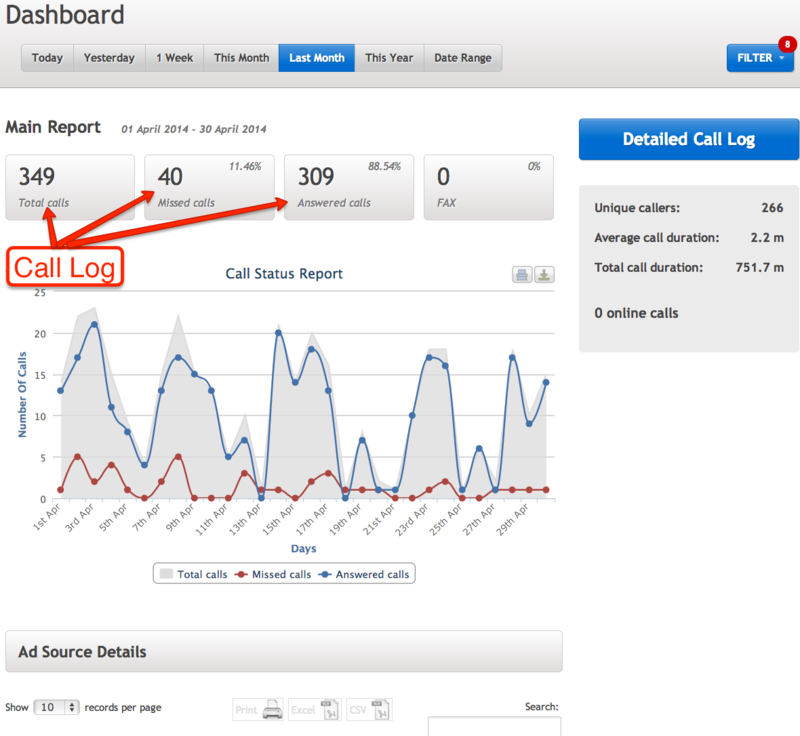 Google Adwords) of a call instantly when you pick the phone up giving you key information before you even start talking. Call Notification Emails/SMS Messages – After each and every call you can be notified by email or SMS message details about the call with the callers phone number, a recording and any other useful details you require. Call Feedback – This unique feature of phone tracking allows you to provide feedback on the quality of the call for use in later reporting. After a call has concluded, if you stay on the line you can then indicate the quality of the lead or value of the sale which will be reported and will allow you to optimise marketing campaigns to improve quality of sales, not just lead numbers.